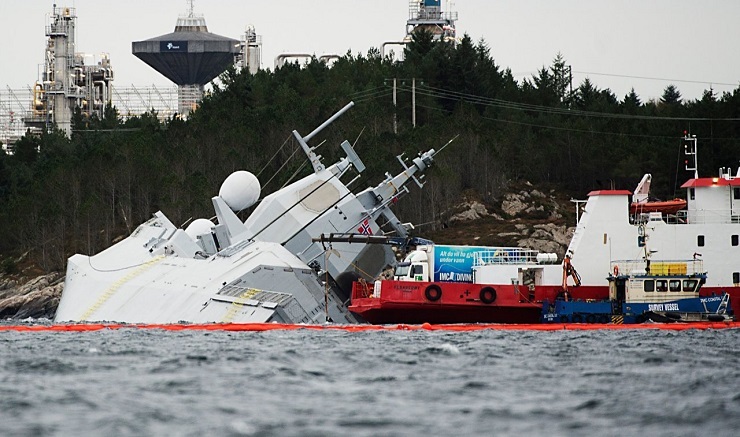 After a collision with an oil tanker, the frigate’s captain ordered the ship aground to prevent a total loss. The quick thinking may have saved the lives of Norwegian sailors and made salvaging operations easier. Thankfully, no lives were lost and only eight injuries are being reported by the Western media. Of course, none of what the CFR alleges is true and many of the accusations leveled against Russia by the article have long been abandoned by even most in the Western media. Training is important and maintaining a strong military as well as a credible deterrent is also important for all nations, both Western Europe and Russia included. But such preparations should be proportional to the prospective threats any nation or bloc of nations face. Such preparations should also clearly be made to create a deterrent rather than a provocation. Likewise, it was US-led NATO that destroyed the North African nation of Libya (with Norwegian assistance), transforming it into a hotbed of terrorism and triggering a refugee crisis that flooded European territory, which continues to be a source of socioeconomic tension today. Beyond military alliances and defense preparations, there are also alternatives for creating a deterrent to war and military aggression. These alternatives include economic cooperation. Here, such cooperation between Europe and Russia is complicated by US-led efforts to economically isolate Russia and sabotage trade and investment between Russia and its neighbors to the west.